Nicolas Malebranche (1638 - 1715) was a French philosopher of the Age of Reason. He was initially a follower of the Rationalism of René Descartes (or Cartesianism), and a vociferous opponent of the British Empiricist school of thought. However, he was also a devout Christian, and sought to synthesize the thought of Descartes and St. Augustine in order to demonstrate the active role of God in every aspect of the world, developing in the process his own doctrine of Occasionalism. He always enjoyed high esteem in his home country and, although his reputation outside France diminished during the 18th Century, many have begun to argue in recent years that the originality and unity of his philosophical system merits him a place alongside such Rationalist figures as Descartes, Spinoza and Leibniz. Malebranche (pronounced mal-BRONSH) was born on 6 August 1638 in Paris, France, the youngest child of his father Nicolas Malebranche (a secretary to King Louis XIII of France) and his mother Catherine de Lauzon (the sister of a Viceroy of Canada). He was born with a severely malformed spine and weak lungs, and he therefore received his early education from a private tutor. However, he left home at the age of sixteen to study at the University of Paris, first at the Collège de la Marche where he pursued a course of philosophy, and subsequently at the Collège de Sorbonne where he studied theology. He rejected the Scholasticism taught at the university, though, and entered the Paris Oratory in 1660, where he devoted himself to ecclesiastical history, linguistics, the Bible, and the works of St. Augustine. He was ordained a priest in 1664. It was also in 1664, that Malebranche happened upon Descartes' "Traité de l'homme" ("Treatise on Man"), an account of the physiology of the human body without resorting to Aristotelianism and Scholasticism. He was so impressed with the work, and the possibilities it suggested, that he spent the next decade studying Descartes's system in detail. At the end of that time, in 1674 and 1675, Malebranche published the two volumes of his first and most extensive philosophical work, "De la recherche de la vérité" ("Concerning the Search after Truth"), which laid the foundations for his philosophical reputation and ideas. In later editions, he responded to criticisms and substantially expanded on the original arguments. Gottfried Leibniz met Malebranche in Paris in about 1675, and the two corresponded at length thereafter. Malebranche published his "Traité de la nature at de la grâce" ("Treatise on Nature and Grace") in 1680, and the attacks on it by fellow Cartesian philosopher (and Jansenist), Antoine Arnauld (1612 - 1694), led to a long and bitter dispute, mainly on theological grounds, but which also branched out into most areas of their respective philosophical systems. Arnauld's supporters persuaded the Roman Catholic Church to place the "Treatise on Nature and Grace" on its Index of Prohibited Books in 1690 (and "Concerning the Search after Truth" was also prohibited later, in 1709). Malebranche continued to publish books throughout the 1680s, and he died in Paris on 13 October 1715 at the age of 77. Like René Descartes, Malebranche held that humans attain knowledge through ideas or immaterial representations in the mind, but whereas Descartes believed that ideas were mental entities, Malebranche argued (more or less following St. Augustine) that all ideas exist only in God and that we see all things in God ("vision in God"). These ideas, therefore, are uncreated and independent of finite minds and, when we access them intellectually, we apprehend objective truth. Malebranche divided truth (which he saw in terms of relations between ideas) into two categories: relations of magnitude ("speculative" truths, such as those of geometry) and relations of quality or perfection (the "practical" truths of ethical principles which, for Malebranche, were divine in their foundation, universal in their application, and to be discovered by intellectual contemplation). His great innovation was to explain how universal divine ideas could also serve as the immediate objects of human minds in the sensual perception of particulars, by suggesting that, whereas the mind's intellectual conception of ideas is pure and direct, its sensual perception of them will be modified by "sensations" proper to individual created minds. Thus, to a different mind (one with a different sensation), the same idea could represent a different individual of the same general kind. Malebranche's initial approach to the mind-body problem followed of the Dualism of Descartes, but later, in the "Entretiens sur la métaphysique et la religion ("Dialogues on Metaphysics and Religion") of 1688 for example, he argued that we do not have a complete conception of the powers of the mind, and thus no clear conception of the nature of the mind. With regard to psycho-physical interaction, Malebranche argued that body could not act on mind, nor mind on body, and the only active power (and the only efficient cause of change in the world) is God. This idea developed into Malebranche's main doctrine of Occasionalism, that God is the only causal agent and that all created things merely provide "occasions" for divine activity. For example, God's laws governing what we call the "interaction" of body and mind, are such that similar movements in the body will "occasion" similar ideas in the mind, although in reality both the idea in the mind and the movement in the body are caused by God. He also held that, in creating the world, God observed what Malebranche called "order" and bound himself to act according to a few simple laws of nature, chosen in accordance with his general will that the world be as good as possible. He used this idea of general will or volition in his theodicy (his response to the fact of the existence of evil in a world created by a good God), arguing that, although God could act by particular volitions to prevent specific natural evils, he could only do so by departing from the simple laws of his general volitions, which are the supreme mark of His wisdom. Thus, for the most part, God acts through "general volitions" only (which may necessitate some specific evils), and it is only in exceptional cases (e.g. miracles) that he would resort to "particular volitions". Malebranche's ideas greatly influenced the theory of Immaterialism or Pure Idealism of Bishop George Berkeley and, entirely independently of him, Arthur Collier (1680 - 1732), as they took the final step to a full denial of the existence of material substance. Gottfried Leibniz was also inspired by his correspondence with Malebranche to design his theory of pre-established harmony as an alternative to Malebranche's Occasionalism. David Hume drew upon Malebranche's negative arguments to show that no genuine causal connections could be conceived between distinct entities, although Hume then turned inwards to the workings of the human mind for his solutions, rather than upwards to God. 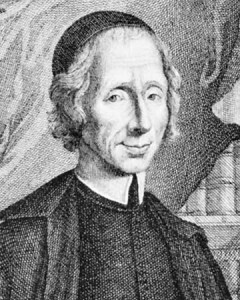 In addition to his major works on Metaphysics, Philosophy of Mind, theology and Ethics, Malebranche also published studies of optics, the laws of motion and the nature of color, and he particularly pursued such non-philosophical areas late in life. He also wrote on mathematics and, although he made no major mathematical discoveries of his own, he was instrumental in introducing and disseminating the contributions of Descartes and Leibniz in France.